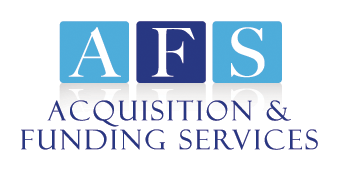 After spending your life and career building a successful alarm business into a profitable enterprise, it can be challenging and intimidating to put it on the market. But inevitably, there will come a time when selling your business is the right choice for you, and for your organization. The right time to sell for you may be coming the near future, or it may still be down the road. Either way, you’ll want to be sure that you are well prepared and have done everything you can to maximize the profits from the sale of your alarm business. That’s because when you do put your security company on the market, you don’t just want to sell it. You want to sell it for top dollar – for what it’s worth or, if possible, even more. So how do you go about doing so? Unfortunately, there’s no magical strategy you can put into place to ensure that your company sells for top dollar. A one-size-fits-all formula for selling for maximum profit does not exist. But there are a number of steps you can take to maximize profits from the sale of your alarm company. 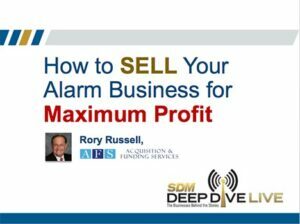 During the hour-long webinar, Rory provided insight on a number of other topics related to selling alarm businesses for top dollar as well. If you want to ensure that buyers understand the true value of your company and you are looking to connect with potential purchasers who are willing to pay top dollar, then this webinar was for you! If you weren’t able to tune into the webinar, don’t worry! You can download the slides from Rory’s webinar here. Interested in watching the webinar on-demand? Through February 27, 2019 you can view this free webinar on demand through the SDM Magazine website here. This exclusive webinar was well attended by industry professionals and provides valuable insight that you can put to work right now for your alarm business! Download the slides today! Have questions or interested in following up after you’ve reviewed the slides? Give Rory a call at (800) 354-3863 (cell – 24/7 availability) or contact him online today!